Is only a memory now for those who attended. But it is a wonderful memory. 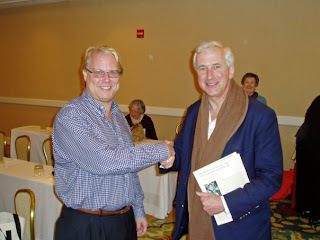 Here I am with the conference's featured speaker, Hugo Vickers. Too bad the city of San Diego is so lame, though.